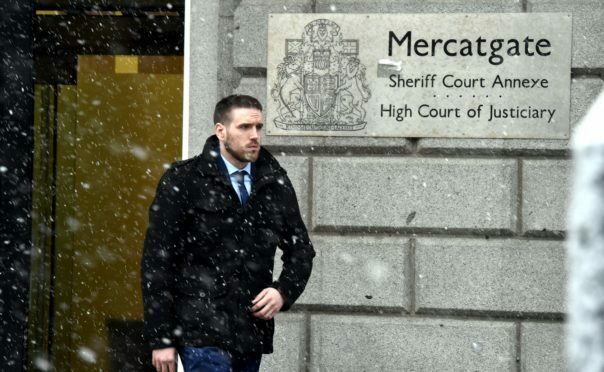 A staggering £32,000 was paid in legal aid to an Aberdeen man who killed his best friend of fourteen years by stabbing him nine times in a fight – and who later appealed his sentence. Darren Riley, also known as Barnes, went on trial at the High Court in Aberdeen last year accused of murdering junior boxing champion Robert Reid at his home on Arnage Place in October 26. He claimed he was acting in self-defence and said Mr Reid threatened to kill him during an argument, before punching out two of his teeth and slashing him with a knife. Riley, who was 29 at the time of the trial, was eventually found guilty of the lesser charge of culpable homicide. During the course of the trial he claimed he had suffered severe memory loss and the pair had been consuming Valium earlier in the evening. He also said he had gone to a psychologist to try and jog his memory. Riley was later sentenced to ten years in prison. He made a subsequent effort to have that reduced but had his appeal thrown out by judges. His lawyers argued at the Court of Criminal Appeal in Edinburgh that the mitigating factors had not been taken into account, such as the fact that he had been provoked and had suffered significant injuries prior to launching an attack on his friend. It can now be revealed that £32,690.46 was paid in legal aid to Riley to cover his defence by the Scottish Legal Aid Board. A further £1,643.58 was paid in relation to the subsequent appeal. A spokesman for the Scottish Legal Aid Board said: “Legal aid is paid to solicitors and counsel so that serious criminal trials can be conducted properly and in a way that allows a jury to reach a verdict. During the trial, the jury was told Mr Reid and Riley were “like a married couple” and “always together”. On the night Mr Reid died, the pair had been drinking. The jury heard that Mr Reid had 21 different injuries, including nine stab wounds, mainly to the left side of his torso. Riley, who described Mr Reid as his “best friend”, gave evidence on his own behalf and told the court that he and Mr Reid had a fight, saying it started because his friend “wasn’t happy with something I said”.